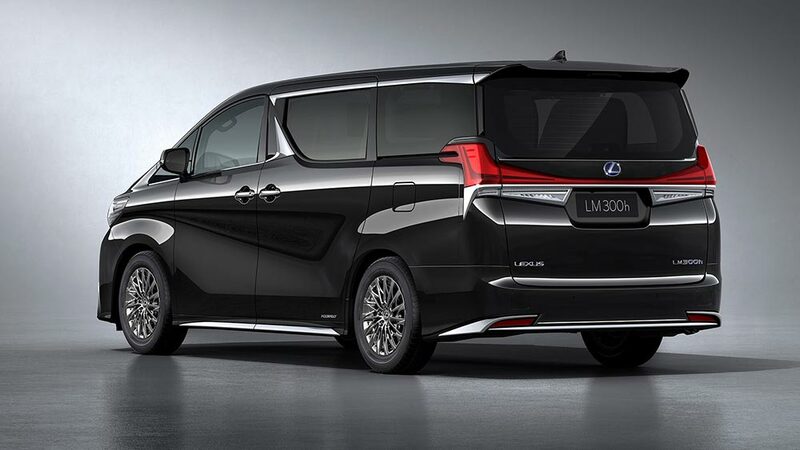 The Lexus LM minivan has debuted at the Shanghai Motor Show, and it’s a masterclass in luxury. Let’s start with the first wave of official information and photos both inside and out. 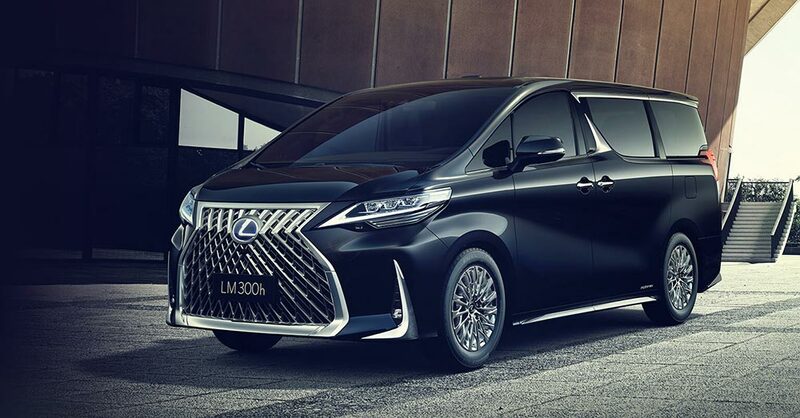 Soon to be available in China and select Asian markets, the Lexus LM seeks to meet the needs of the modern, driven, always on-the-go professionals who view their luxury vehicle as more than mere transportation. 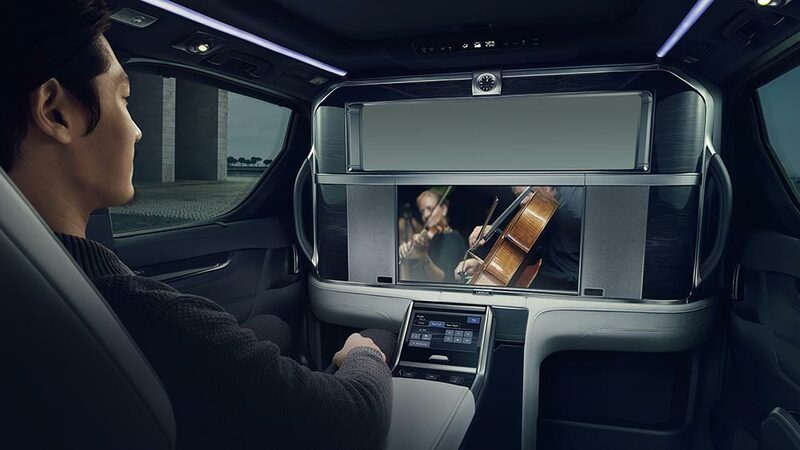 Compared to traditional luxury vehicles, Lexus envisions a luxury environment creating a personal space that helps occupants perform better in business and also maximizes time when on the move. 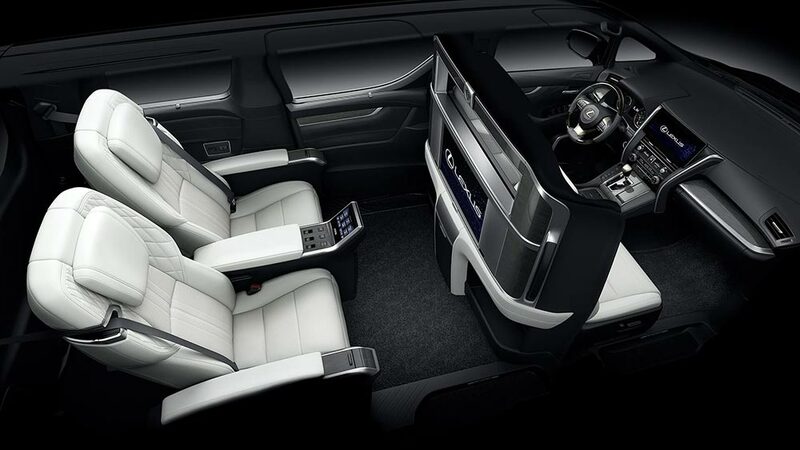 Designed as an ultimate comfort space, the rear cabin features a 26” color display, a refrigerator, umbrella storage, and center console with touch control panel. 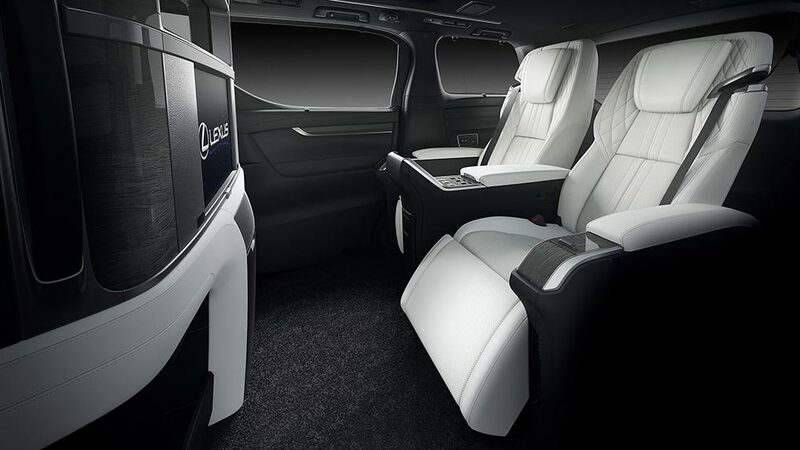 The panel controls the seat position, relaxation function, climate control and audio for the rear private space. The LM’s exterior is defined by the Lexus spindle grille, and chrome accentuation of the side body. The center pillar is adorned with dual arrowhead chrome ornamentation that enhances the vehicle’s side-view and hints to its premium nature. The grille is chrome plated with flowing accents that help create the sense of dynamism necessary to distinguish this vehicle. Two exterior color options are available for the LM: Black and White Pearl Crystal Shine. Unique headlamps integrate the distinctive arrowhead shape of Lexus daytime running lamps, and offer composite projection beams that involve low beam and high beam operations. In addition, the rear LED lamps inspired by the Lexus new design signature use a wide lens spanning the entire rear width of the LM and offering a sense of presence. The LM’s suspension incorporates swing valve shock absorber technology as well as optimal turning to provide exceptional comfort for driver and passengers. Swing valve shock absorbers were introduced as a world-first on the Lexus ES to enhance the excellent ride comfort. 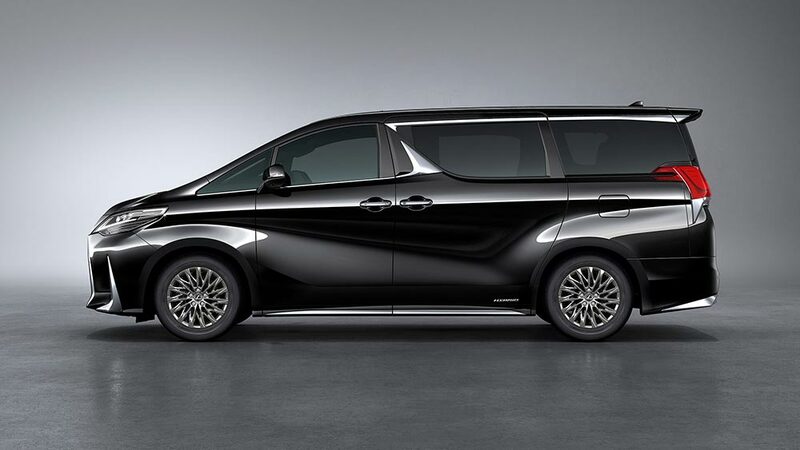 Beginning with the renowned utility and comfort of an MPV, Lexus helps define this segment’s luxury class by offering a choice of optimized interior configurations. The unique configurations seek to create a unique luxury space for their owners while making a statement about their lifestyle. Expertly crafted details such as leather wrapped surfaces and stitched panels create an interior with a premium feel. Newly-developed Gin-Sui-Boku (Silver Ink) ornamentation inspired by the art of ink wash painting adorns the interior giving it a distinctive appeal. 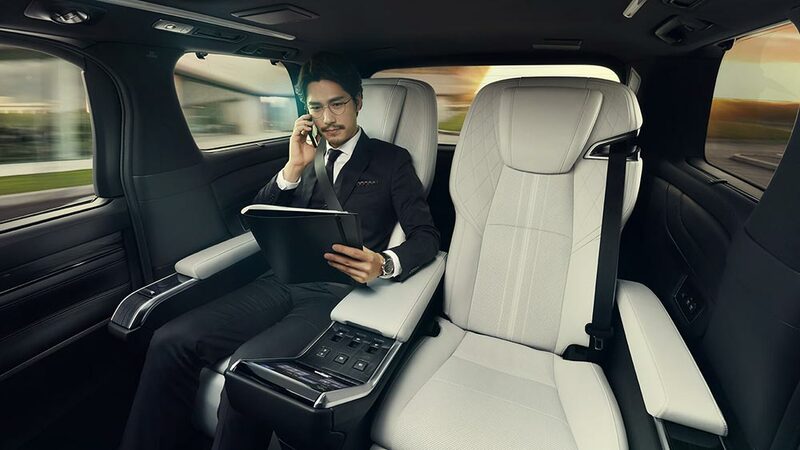 The opulent four-seat configuration of the LM is suited to the chauffeured needs of the urban, business focused professional as it provides a relaxing, private environment that supports their business mission. 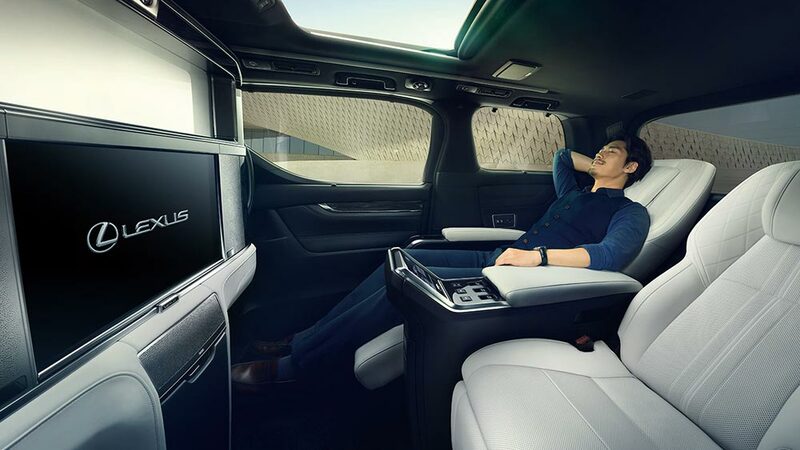 The rear seats are designed for their occupants to relax in a very soothing space. The reclining angle was carefully designed for optimum relaxation, and the position of the occupant’s face relative to the window. The seats rely on plush low-density urethane foam that offers ideal support with couch-like comfort. This package aims to maximize the sense of space afforded by this configuration, relying on the high ceiling and width to create a sense of peace from the spaciousness afforded. These seats are also cooled using suction ventilation that draws air through the seat surface to enhance comfort. The LM is also available in a seven-seat configuration. This layout offers two separate luxury bucket seats for the first two rows and a third rear row of three seats across, finished in leather seat covering. The seats of the center row are distinguished by larger, more supportive armrests. This seven-seat configuration of the LM is ideally suited for business professionals who also intend to use the vehicle for family duty transportation. The Lexus LM will be offered in two models (LM 350 and LM 300h) and two drive types (front-wheel drive and all-wheel drive). Availability will vary by market. The LM 350 uses a 3.5-liter DOHC petrol engine and LM 300h leverages the 2.5-liter Atkinson four-cylinder engine and hybrid system.